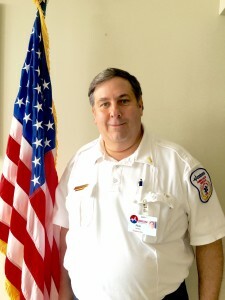 After a long and successful career in retail management, Rick made a career change and found his way to Armstrong Ambulance as a Chair Car Driver. Throughout his six years at Armstrong, he has touched many lives and treated hundreds of patients with kindness and compassion. Rick looks at each and every one of his patients as unique and they leave their transport with him feeling truly special. During his Armstrong career, Rick has been the epitome of dedication and loyalty. He is routinely commended by his patients for his patience, kindness, and excellent care. He takes pride in his work and positively influences everyone he interacts with throughout each and every day. Rick is extremely respected by his peers, which is one of the reasons he was promoted to Chair Car Supervisor. Rick has always taken the time to listen to each and every one of his fellow chair car drivers, and works diligently on coming up with solutions in order to make processes more efficient and employees more engaged. Rick is constantly looking out for all of his colleagues and goes so far as to make sure that they have all that they need, both professionally and personally. Rick has made an incredible impact on transforming Armstrong’s Chair Car Division and has been an exemplary leader. He puts customer service above all and will not leave for the day until the last chair car call is complete. He takes pride in his entire fleet of chair cars and makes sure that they are all clean, well-stocked, and in the appropriate condition to represent the legacy of Bill Armstrong. Rick has the ability to form lasting and honest relationships with both his patients and employees in a constructive way that only a true leader could do. When he is not working, Rick enjoys spending time with his wife, Cathy, of 28 years and his son, Michael.